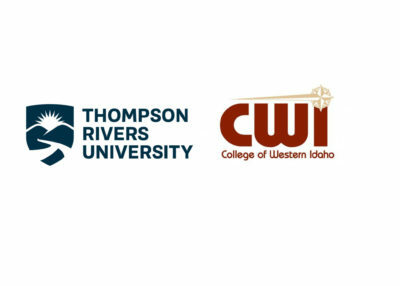 Earlier this month, TRU announced that it had signed two agreements with the College of Western Idaho (CWI) to provide transfer opportunities for CWI’s students and graduates. The College of Western Idaho is a public, open-access community college with seven campuses located throughout Southwest Idaho. These articulation agreements allow graduates of CWI’s associate of arts and associate of sciences programs to receive transfer credit into TRU’s bachelor of arts and bachelor of science degree programs. Christine Lee, TRU World’s transnational education coordinator, says the agreements are primarily for CWI’s associate of science and their associate of arts students to come into TRU’s bachelor of science and bachelor of arts programs. However, Lee says that this model isn’t new and that TRU has already partnered with four colleges in Washington state. In fact, it is a very common practice for both American and Canadian universities to partner with community colleges, with many American community colleges expressing interest in creating partnerships north of the border within the last two years, says Lee. According to Lee, the partnership between TRU and CWI has been in development since February 2017. While the agreements required much deliberating between TRU World and their counterparts at CWI, Lee says that they required collaboration with TRU’s faculty on course creation and the Registrar’s Office on credit transfers as well. These agreements have many benefits for both TRU and the CWI, says Lee. “From the college end, what my counterpart has expressed to me is that they really like giving their graduates an opportunity to further their education,” she said. On TRU’s end of the deal, Lee believes that having American students here in Kamloops will add even more diversity to the university’s community. Looking into the future, Lee added that TRU is currently working on more partnerships with community colleges in the state of Idaho, though those agreements will depend on the availability of TRU’s resources.